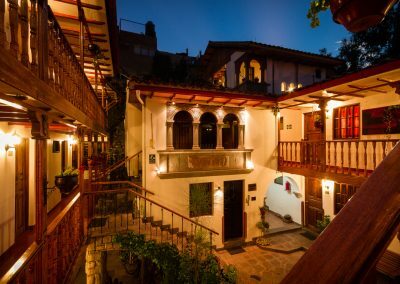 Rumi Punku is a unique Hotel in the Historic Center of Cusco, just 5 minutes walking from from Plaza de Armas (the main square). 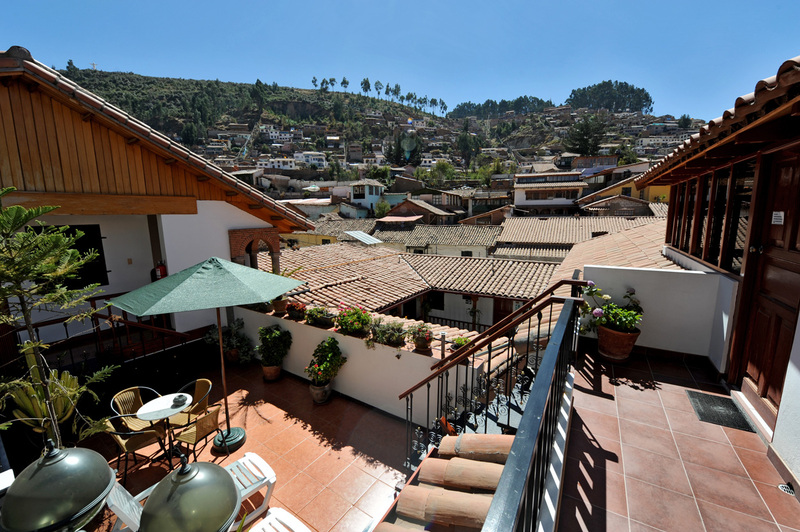 It is located near the traditional neighborhood of San Blas, at Choquechaca Street. 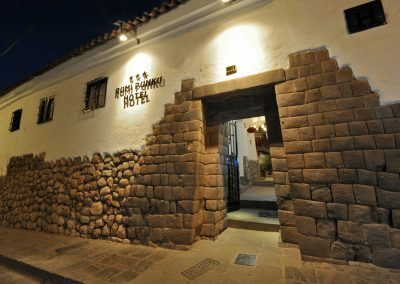 Hotel Rumi Punku&#39;s iconic stone entrance remains from the Inca’s Empire and is one of the three authentic entrances that still exists in Cusco today. 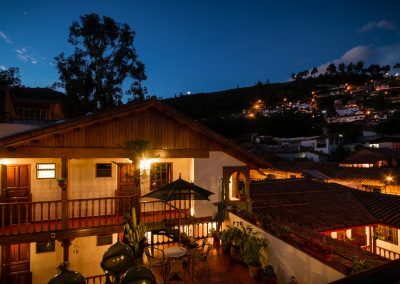 It is one of the most beautiful of its kind. Rumi Punku represents 3 periods – the Inca era, the Colonial era, and the Modern era. 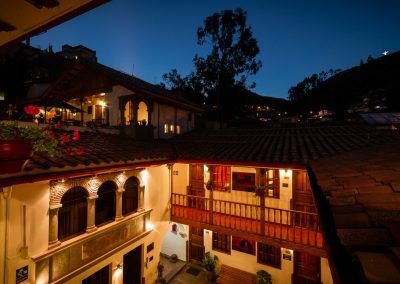 The Inca era, not only for the authentic Inca wall located in the interior part of the Hotel, but also for the original Inca’s stone entrance which architectural design has unique features that shows it was originally created for Inca nobility. 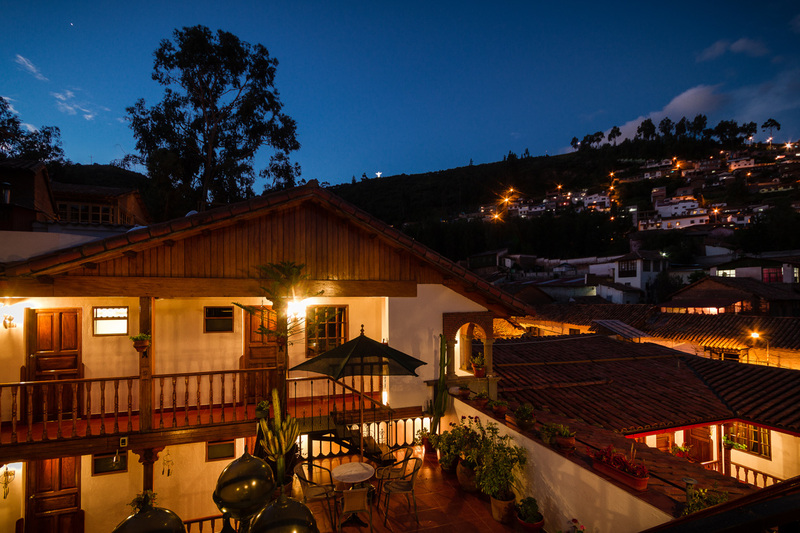 The building’s historical importance is clearly demonstrated by the distinguished style. 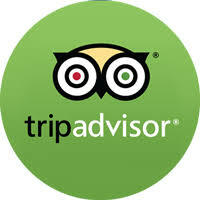 For instance, one of the superior and unique features can be observed by the double door jamb at the main entrance. 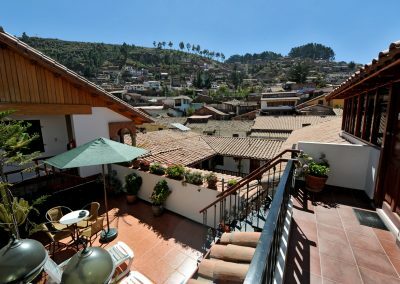 The outer side of Rumi Punku is a Historical Monument of the city of Cusco recognized by the Peruvian Ministry of Culture. 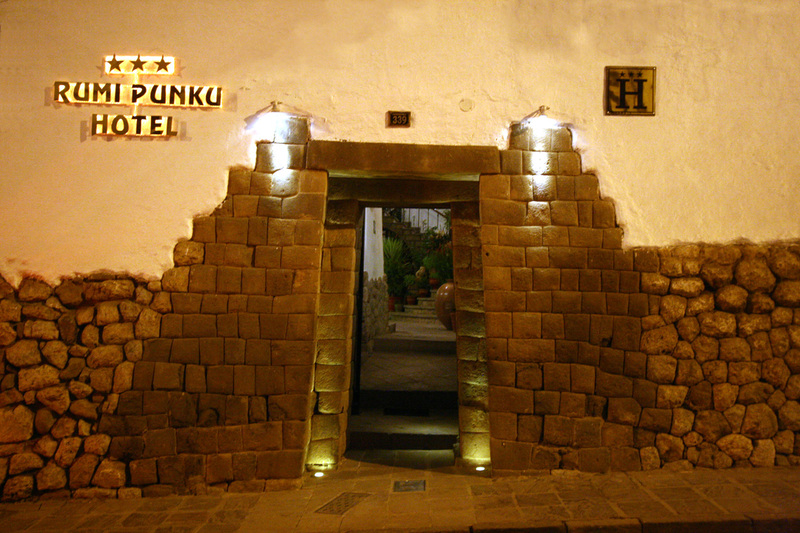 The name Rumi Punku is in Quechua and translates into Stone Entrance. 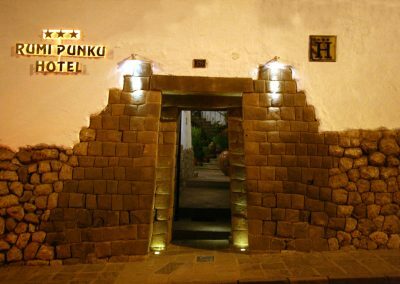 In addition to the Inca era, Rumi Punku also represents the Colonial era. 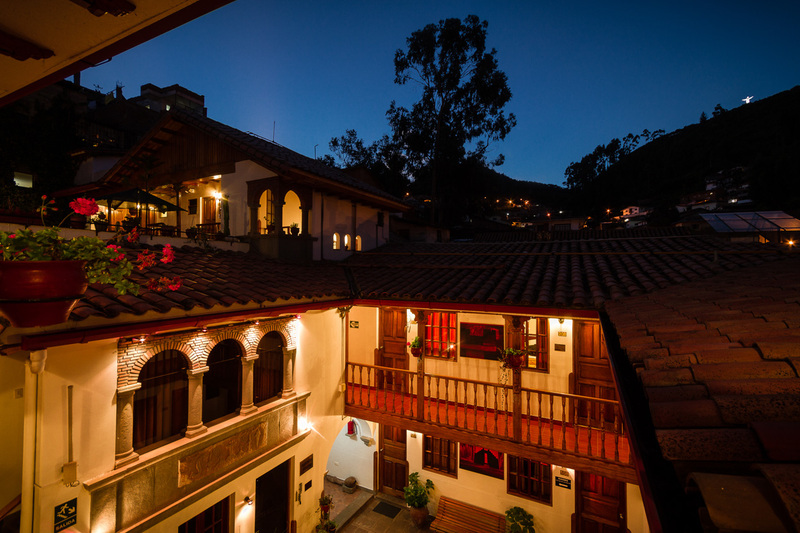 Rumi Punku has the style of a classical “Casona” with Inca vestiges. 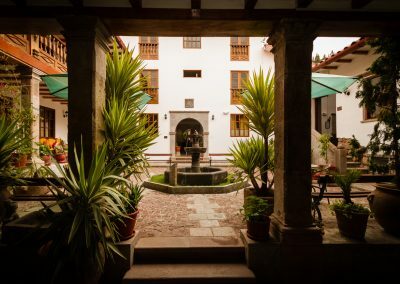 Lastly, the modern era is also represented as Hotel Rumi Punku.It has all the modern facilities, equipment, and comfort of a leading three-star hotel. 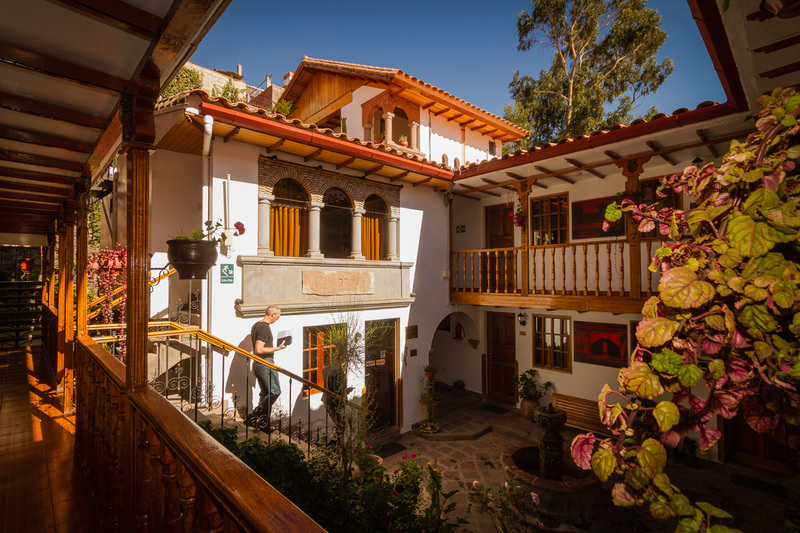 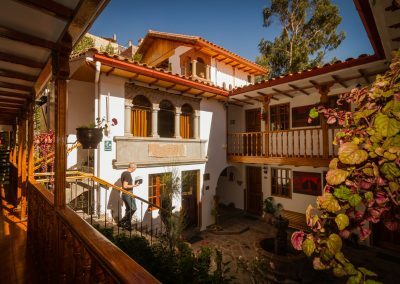 Rumi Punku Hotel has been awarded multiple times for being among the best three-star hotels in Cusco. 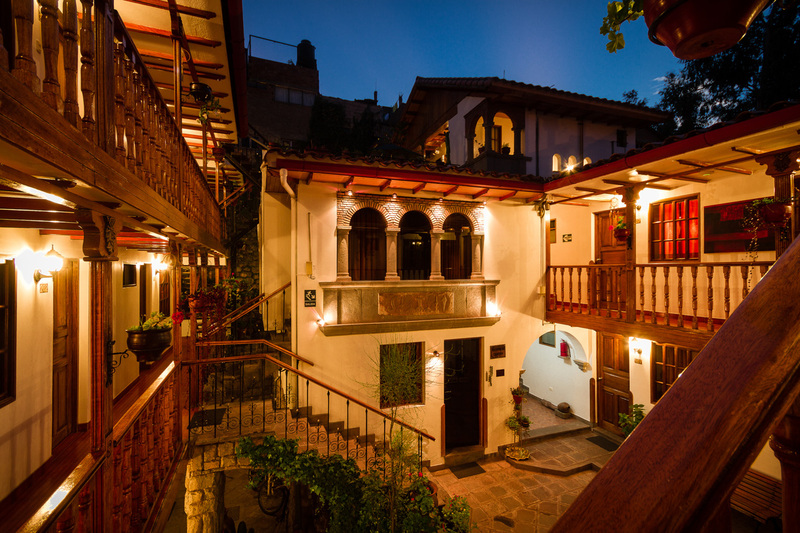 We are the proud winner of the Q’ente Award for the best quality of Tourism 2010 – 2011 – 2012 – 2014. 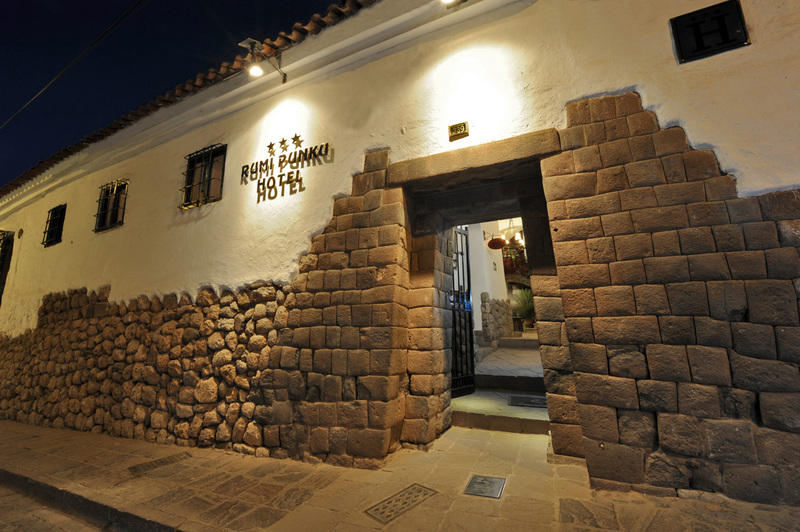 Hotel Rumi Punku&#39;s three-stars are granted by the Regional Tourism Office.